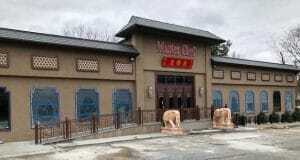 The Quest goes back to Little Neck, our new bastion of authentic Chinese. 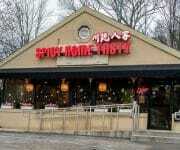 The “Grain House” is located at 249-11 Northern Blvd., Little Neck, New York. Only three months old, The Grain House is clean and simply furnished. 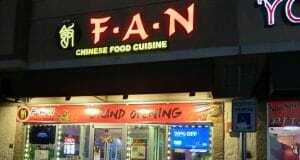 The food is classic Szechuan. Our dishes varied in spiciness from mildly seasoned to firecracker HOT! 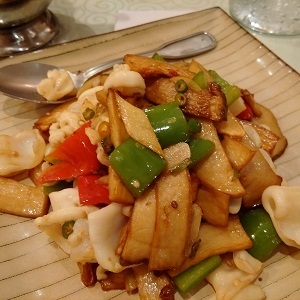 The Grain House has a full menu that even included a small section called American Chinese Food, with such classics like General Taos Chicken and Semase Chicken (spelling as it reads on the menu). 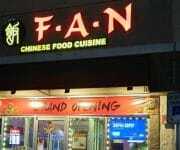 Of course we did not go near the American Chinese Food, we stuck to the real stuff. 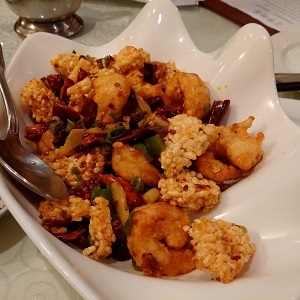 The Classic Szechuan Style section of the menu is broken down into the different sauces like Garlic Sauce Style, Kong Pao Style, Black Bean Sauce Style, etc. Another note worth mentioning, this restaurant has a full bar as opposed to the usual BYOB. 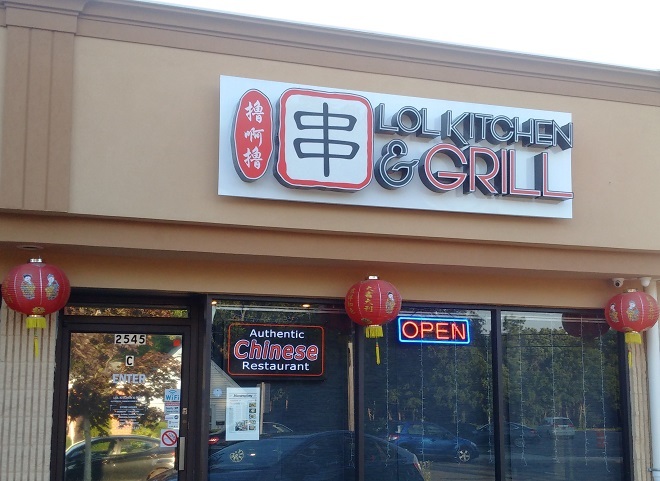 Interestingly, the owner of Grain House, is best friends with the owners of “LOL Kitchen and Grill” in Centereach, NY. We reviewed “LOL” last month. 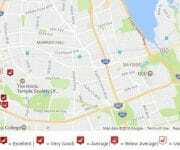 All the owners met while attending Stony Brook University. 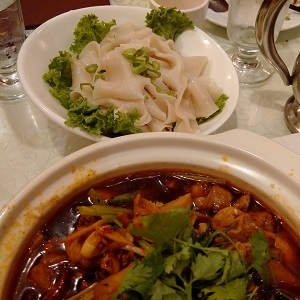 Our first dishes included Pork Soup Dumplings, Wuxi Spare Ribs, and Shrimp in Chili Sauce. The dumplings were pretty weak in comparison to other places. 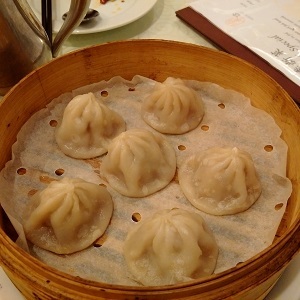 I refer to them as the “no soup for you” Soup Dumplings, because there is almost no soup in them! 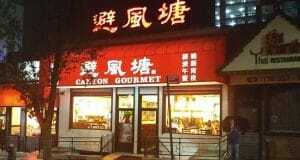 I have to admit that the pork meat was rather tasty, but not worth ordering here. 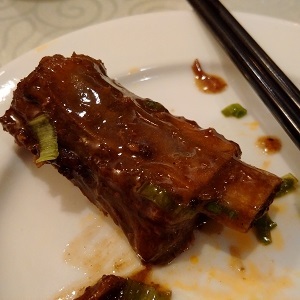 The Wuxi Spare Ribs were very good. 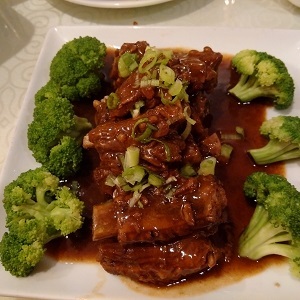 These short ribs were very meaty and seasoned with a sweet soy sauce. 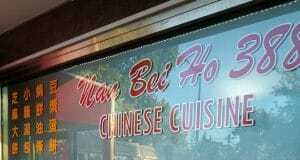 The Shrimp in Chili Sauce did not work for me. This dish was quite spicy and included what looked like rice crispy cakes. Too weird and too hot!! 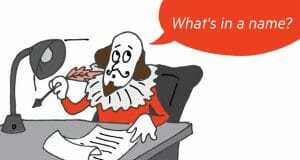 Still hungry, we continued to order. The next round included Baby Cabbage Casserole, Cuttle Fish with King Oyster Mushrooms, Spicy Roasted Chicken with hand made Noodles, and Young Chow Fried Rice. The Baby Cabbage Casserole was simply delicious. The small pieces of pork in the casserole gave it a wonderful earthy flavor. 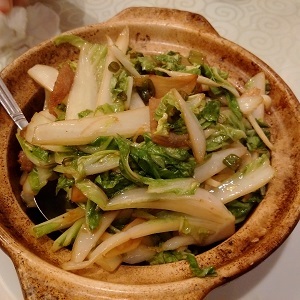 Considering it is a vegetable dish, it was very hearty, like a cold winter meal. It was very unique, and I would highly recommend it. Another winner was the Cuttle Fish with King Oyster Mushrooms. The fish was chewy like calamari, that was seasoned with ginger and king oyster mushrooms. Another earthy plate that I simply could not stop eating. 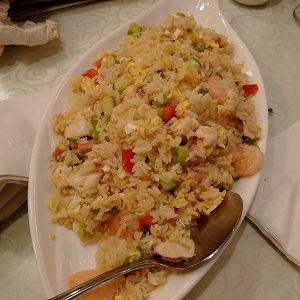 The Young Chow Fried Rice was one of the better Young Chows that we ordered on this Quest. The Spicy Roasted Chicken with hand made Noodles was just way too hot for me. After a few bites, my stomach started making noises like an erupting volcano, it was time to stop. Instead, I ate the hand made noodles with a little schmear of the chili sauce. 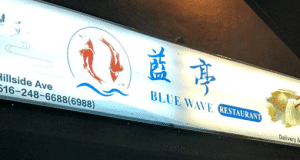 I have to say that the noodles were very good. 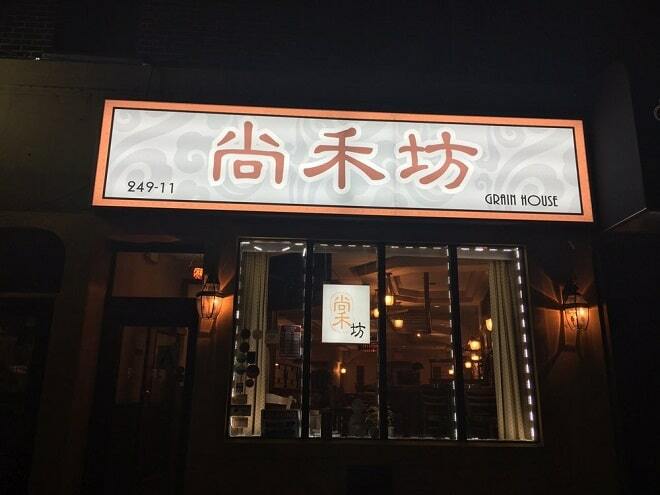 I think that the Grain House is a pretty good place for Chinese. There were definitely mixed feelings around the table about how good the food is. 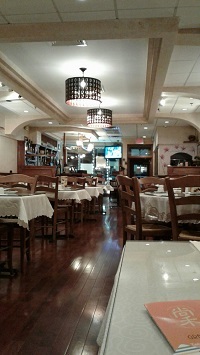 I enjoyed the meal for the most part, and would like to come back on my own and try some other things. 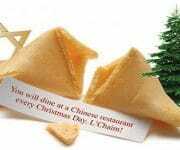 Though no dessert was served at the end of the meal… No ice cream; No fortune cookies; No oranges… BUT, I got the sweetest treat of all, when I was surprised by the visit of my youngest offspring, Mee Dee Dee and her main squeeze, Mee Mi Key! What a great way to end a great meal! 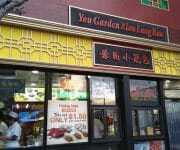 Little Neck is a great place to try different Chinese cuisines. Just over the Great Neck borderline, it is not a big commitment for the Nassau County crowd. Get out there and explore! 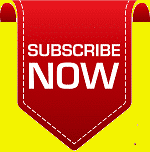 Don’t forget to let us know what you find. Summary : The Real Deal!